if I made an adapter, could I potentially power fans or a hard drive off it? Yes you can use that for a fan or HDD is standard connector with from left to right 12V;GND;GND;5V . 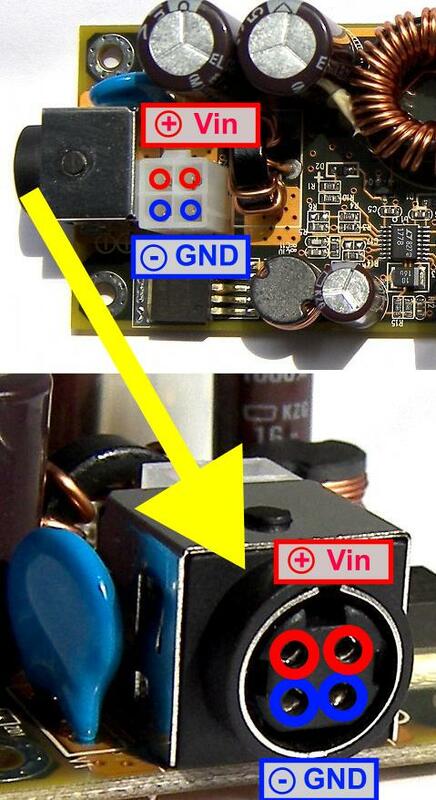 I'd just like to confirm, the Y4 kit (130W board+90W brick) features a 2.5mm barrel connector, correct? How long is the included P4 cable? Also, do you have a wiring diagram for the 2.5mm jack? That was just the question I was about to ask. Which is the 12V and which is the 5V two-pin connector? What are the pinouts for the two-pin connectors? Except for the cable are you happy with the power supply? Yes, it arrived very neatly packaged and functions well so far. would be useful to others. See here for some build details. Most of these questions are answered by looking at the pictures. 5v is the one to the right in the picture, 12v is the one to the left. If you look at the back of the PCB (picture on the first page in this thread) it's easy to see which pin is ground. WinMate provide some sketchy documentation. Y4 not available at the moment for sale hope to be available in two weeks as for the 2.5mm jack wiring the positive (+) will be the inside pin. Length of the cable about 15cm (you can use an extension if you need more). 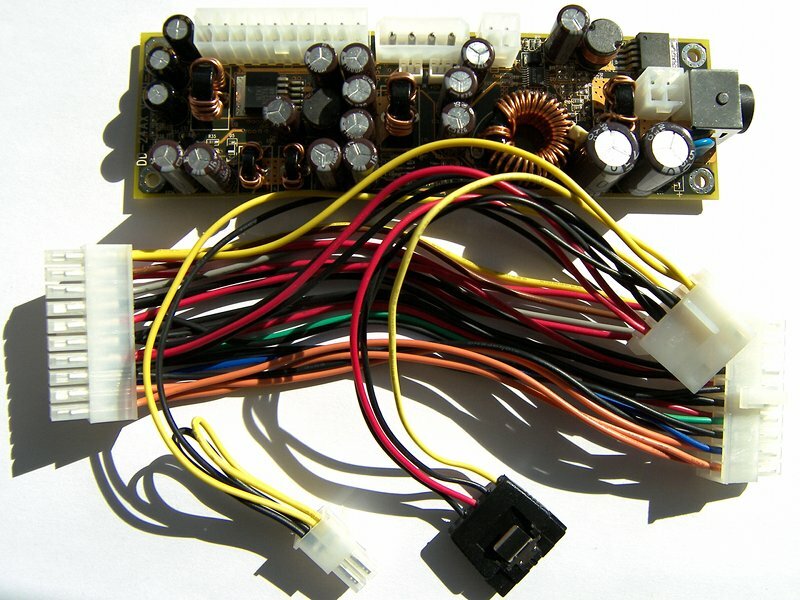 I wanted ask wiring of this connector which pins are positive ones and which ones are ground when looked at this picture? I got one brick which have left side ground when looked at straight front of a connector and right side positive just wondering if i need change new connector on it. Mies, there's more pictures that answer your question in this thread. Ah great thanks! So it seems i need change new connector on my brick then. It's ok thanks since already did order that board for you and i have extra plugs for that black connector. I did not know you already ordered the board from me if so you got the normal black cable that is just an extension the pin are 1:1. I do not really understand the first part about black extension cable I will attached another photo so you can see better the both ends. 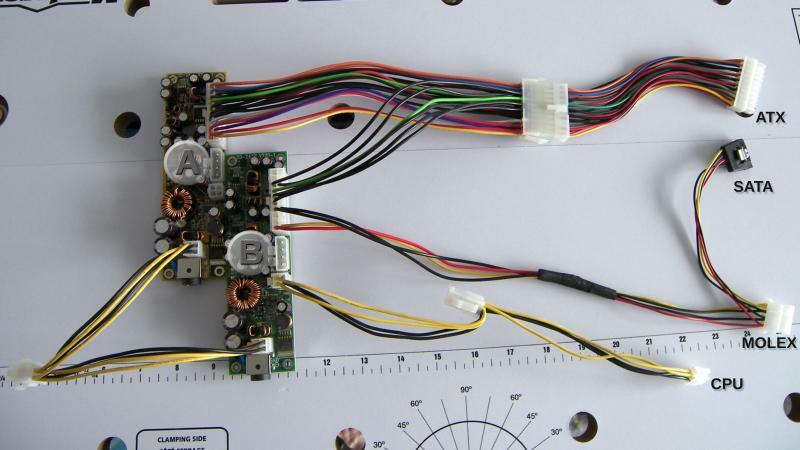 You can modify the extension cable to work with your brick you just need a soldering iron. You will find a solution let me know if I can help you with something else. I did mean that short black cable which comes with this DC board. I did thought to make permanent cable inside of case whit this so that short cable is kinda useless for me since it does look too short for that layout i have on my mind. Miles where did you got that connector ? I bought that connector at Mouser Electronics once when i was buying something else there too. Thanks for the info It may be that some people will be interested on this connector. Everything works like a charm, thank you for expertise Electrodacus, your writings in this forum made you trustworthy to place an order. Idle at 30W and haven't seen it pass 70w yet at load. I bought the Noah case without PSU and examined the pictures a bit brief if the Winmate would fit or not. 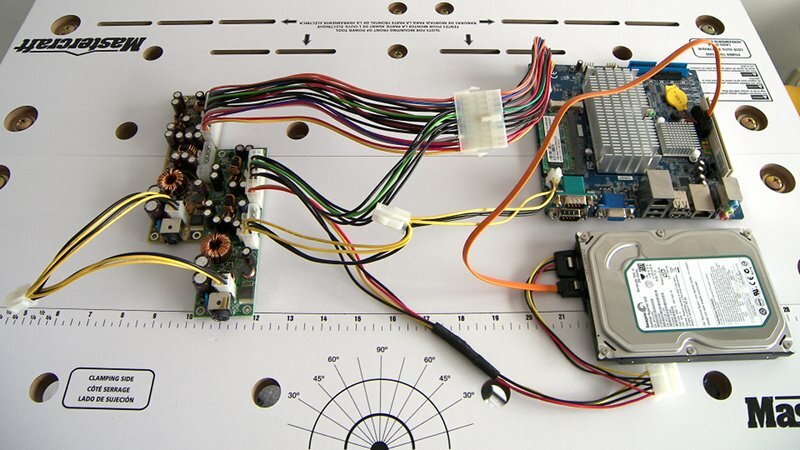 It turned out that there was a PCB containing the front ports that was in the way. Hmm, what to do. I had to elevate the Winmate 6 cm up in the air and turned the Winmate upside down. At the moment I use the stock fan and the 80 mm case fan (40-50 degree Celsius), much more silent than my old machine, but now it's on the desk instead of below so there might be some more work to do. Tricky to find a decent low profile heatsink. Great find Mies, I've tried to find the connector in Sweden but without luck so far. Mauser charge 1,76â‚¬ for a piece and then adds 30$ in shipping. Bruce71 Thanks for all the info. It seams that the new core are power efficient and probably far from 73W TDP . Usually the Intel stock fan is not bad you will not find much better. sometimes the intel stock fans tend to click or grind louder then say the nexus or others. Sometimes removing the stock fan from the intel aluminum block and replacing it with a 92mm nexus is able to reduce the noise alot without effecting temps. I am going to possibly need to upgrade the pico in my HTPC, so my choices are between a larger pico or this. And with this unit offering better protection at a cheaper price, while only a slight cost of efficiency i think the choice is clear. Im also convinced this may deliver much cleaner power, then what my current pico's brick is doing currently, and that would be a very good thing for the sound card i use. Antec P180, Intel [email protected](400x8)1.2v w/ninja b passive, 16gb Corsair DDR2, Corsair HX520, 2x120mm Noctua, BFG [email protected] (software fan controlled), Asus P5Q-ProTurbo, sb-xfi premium, Corsair F60 SSD, 2tb WD green and 5lb Peal&seel /w some acustipac type product=faint, needs no work and weighs 60lbs. Finally I made the cables and photo so you ca buy this dual PSU kits. I have only 7 complete kits and I did not decided if I will build more but you can find all necessary parts on eBay. You can find the cable I used on eBay the ATX Y cable 9" is the eBay item number 360214602674 and the P4 Y cables are eBay item number 130354271054 they are sold by the same seller the other ATX cable you can get from me. You just need to write the eBay item number in the eBay search field and you will see the item. If you want to buy this just send me a PM with what you need and I will send you may email PayPal address or send me your PayPal email address and I will send you an invoice. The Y5 kit is sold out but you can buy the Y2 and the Li Shin AC adapter the pinout is exactly what you need for the 130W winmate so no modifications needed. I got a question, if my itx case can only allow me to plug a 2.5mm dc jack, can your extension cable fit it? 1. Why 90W only if I use 2.5mm plug? So I can't use a 150W ac adaptor if I use 2.5mm plug? 2. Will you send me the P4 connector as well? Am I need to DIY the cable by myself? 3. What's the diameter of the 4 pin din connector? Is it 2.5mm? 1. At 20V 90W will be 5A and 5A is max spec for the 2.5mm plug You will find some companies that will use this connector for 7A or more but I will not recommend since is not designed for that current . 2. 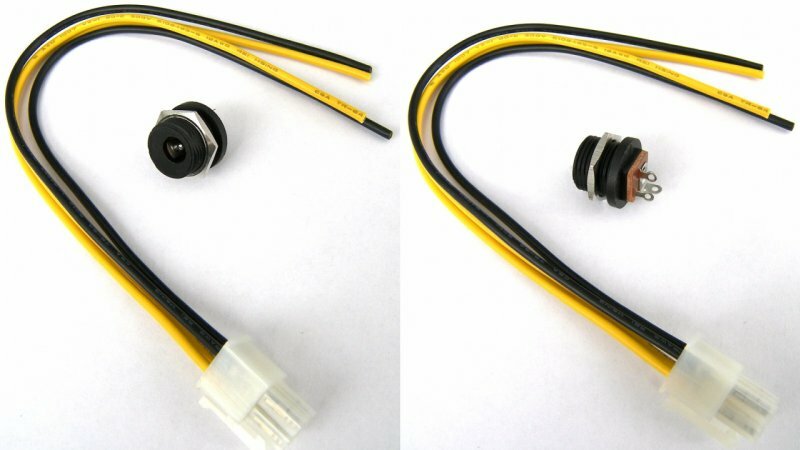 The P4 connector is optional in case you will not use the 4 pin din connector and you will probably need to DIY the cable yourself. 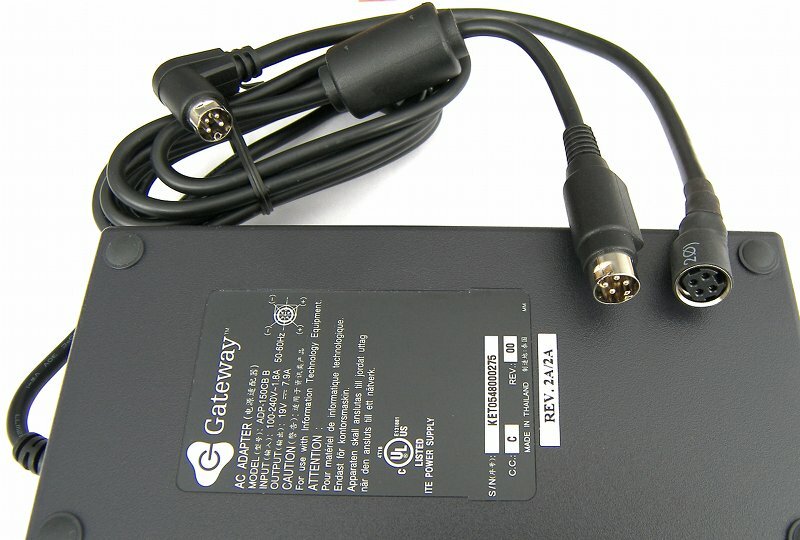 I have some cables and 2.5mm connectors that I need to solder on the P4 cables to sell them together with 75W AC adapters that I have on stock this are not great quality AC adapters I will probably sell them for 19$ including the cable and 2.5mm connector. 3.The actual connector is 10mm I do not know the pin diameter probably about 2mm or more but the spec is 7A/pin so you can use this type of connector for up to 14A since there are 4 pins. Although I received my 130w circuit earlier in the week, I ordered the 150w laptop power adapter separately and it didn't arrive until last night. After plugging everything in I hit the power button and instead of the gentle hum of a computer starting up I just get silence. I traced all the cables, made sure the connections were tight, then I realized I forgot to plug in the power adapter -- doh. With the power brick plugged in now, I hit the power button and again, nothing. This time I took it all apart, reattached everything, hit the power and again got nothing. Keep in mind that I have only the bare minimum attached right now: motherboard, cpu, heatsink/fan, and some ram. 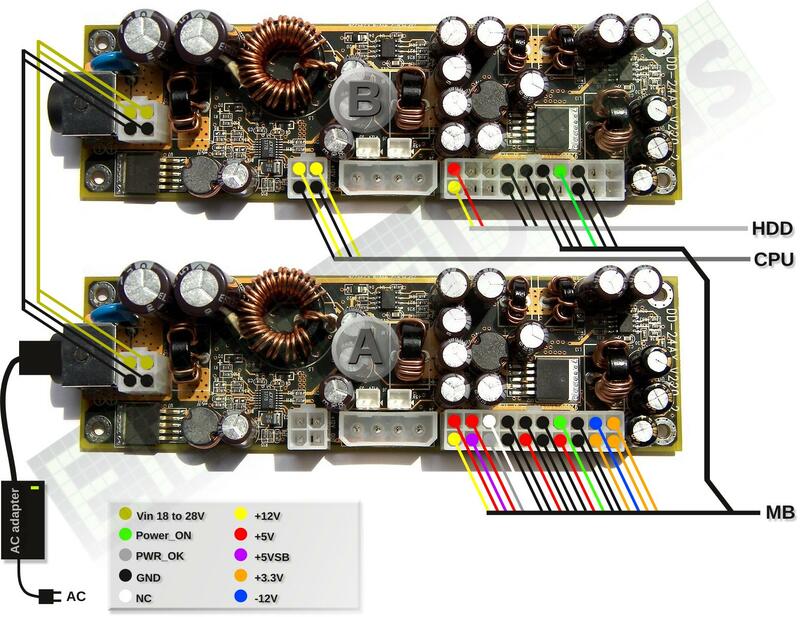 I triple check that the power switch is connected to the motherboard, the motherboard is connected to the 130w PSU, the PSU is connected to the 150w power adapter, and the power adapter is connected to the wall. Everything looks good but it just isn't working. This is a brand new system so my next thought is that one of the components is bad. I rip a 650w Seasonic PSU out of another computer, plug it in, hit the power, and the cpu fan started spinning. So now I know the core components are working. While sitting there thinking about how to troubleshoot the 130w I noticed that the laptop adapter (still plugged into the wall) has a green power LED lit up. I reconnect the 130w psu to the motherboard and as soon as I plug it into the laptop adapter the green LED (on the adapter) turns off. I get the same results with and without the included short 4-pin extension cable. It almost seems like some protection circuit is kicking in to prevent damage to the power adapter whenever it's attached to the 130w board. Given this behavior, is my 130w circuit defective?